﻿ Ketekung Bungalow, Bali - SAVE ON AGODA! Have a question for Ketekung Bungalow? 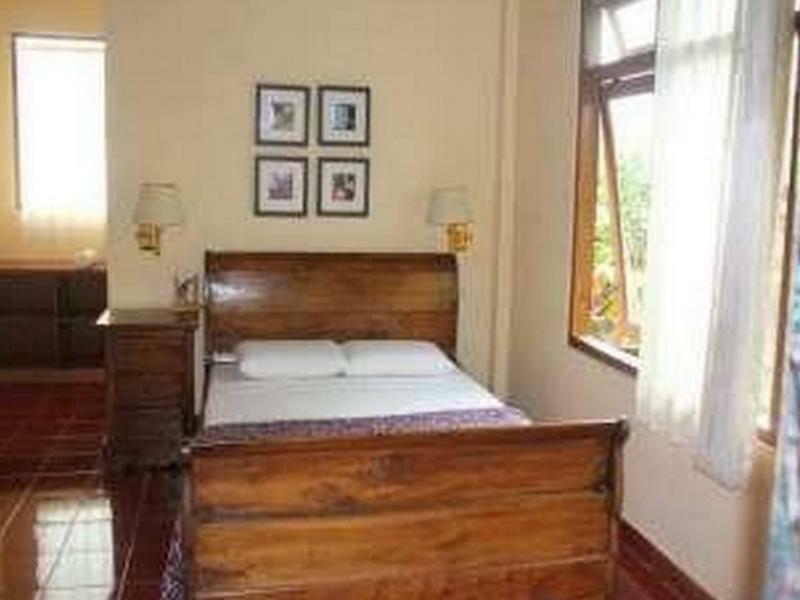 If what you're looking for is a conveniently located hotel in Bali, look no further than Ketekung Bungalow. From here, guests can enjoy easy access to all that the lively city has to offer. With the city's main attractions such as Komaneka Gallery, Ubud Market, YIN Jewelry within close reach, visitors to the hotel will just love its location. At Ketekung Bungalow, every effort is made to make guests feel comfortable. To do so, the hotel provides the best in services and amenities. A selection of top-class facilities such as free Wi-Fi in all rooms, express check-in/check-out, luggage storage, car park, airport transfer can be enjoyed at the hotel. Hotel accommodations have been carefully appointed to the highest degree of comfort and convenience. In some of the rooms, guests can find internet access – wireless (complimentary), non smoking rooms, air conditioning, desk, balcony/terrace. Besides, the hotel's host of recreational offerings ensures you have plenty to do during your stay. Superb facilities and an excellent location make the Ketekung Bungalow the perfect base from which to enjoy your stay in Bali. My stay there at the bungalow was good and comfortable. The staff are friendly and helpful. The location is scenic and quiet, being surrounded by rice fields, with some shops and cafes nearby. It was perfect, the best rest in years. clan guesthouse with free wifi located behind a rice patty. Owner is not always there so you might have to wait for a little bit but he will know if you book ahead. We booked one day before and his wife was there. It is a little far from the center but because of this really quiet at night an in the morning. All you hear is geckos ;) Nice shower too. The hotel is a bit far from the center of Ubud but if you rent a scooter for the day, it's great. And if you do tours, they come to pick you up anyway. I wish they had better facilities though. There was no breakfast, no wifi, no hot water, and no AC. It's located in a very quiet part of town and it was the most beautifully decorated room door I've ever seen in my life. Basically, the Bungalow was near from the main street but the access to get in to the Bungalow was pretty bad and scary. I was arrived at 6 pm in the Bungalow. It was dark and rainy yet we had to walk from the main street to the Bungalow by walked on the tiny sidewalk. The tiny road was lack of light so i needed to use my flashlight on my phone. Even my friend's suitcase had a pretty damage caused by the rough, rocky and slippery road. After we got to the room, it seemed very clean. But, i didn't know why, i was sneezing all over the night. Maybe the room was not as clean as it was seen, the dust was all over the place even though it can not be seen. If you were not on a very tight budget, i wouldn't recommend this Bungalow. Very good. Walking distance to rice field and Main Street, restaurant etc. Clean bathroom. Great deal for budget traveler. this place is great. it can be difficult to find (on Jl Bisma just before the pavement ends), but it is beautiful. the couple that owns/runs it is very sweet. breakfast is great. this place is quiet and stunning. no bells and whistles, just basic in the best way. It is a decent hotel, but overpriced. The hotel is quiet and has nice views of rice paddies, however, it has spotty internet, which you have to access while sitting on a bridge. The internet is only good at the owner's residence, which does not have tables and chairs, so one has to sit on the bridge steps to get extremely spotty internet. The hotel is about a 30 minute walk to the city center. Sejour très agréable. Couple très accueillant.